WASHINGTON – The U.S. Department of Transportation (DOT), with the Federal Aviation Administration (FAA) and the Pipeline and Hazardous Materials Safety Administration (PHMSA), on Friday, October 14, 2016 announced it is issuing an emergency order to ban all Samsung Galaxy Note7 smartphone devices from air transportation in the United States. Individuals who own or possess a Samsung Galaxy Note7 device may not transport the device on their person, in carry-on baggage, or in checked baggage on flights to, from, or within the United States. This prohibition includes all Samsung Galaxy Note7 devices. The phones also cannot be shipped as air cargo. The ban will be effective on Saturday, October 15, 2016, at noon ET. 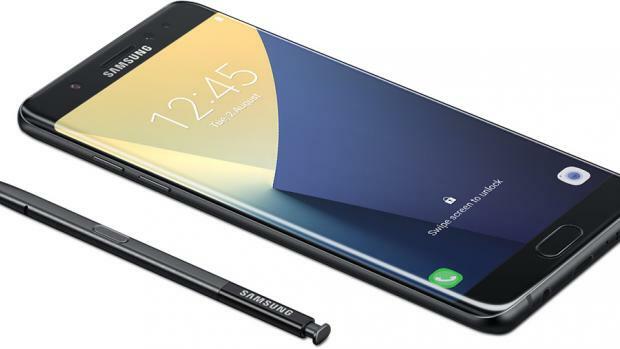 Passengers currently traveling with Samsung Galaxy Note7 phones should contact Samsung or their wireless carrier immediately to obtain information about how to return their phones and arrange for a refund or a replacement phone. Samsung has provided guidance for customers about refund and replacement options, as well as how to contact wireless carriers, at http://www.samsung.com/us/note7recall/. Samsung is also answering customers’ questions at 1-844-365-6197.